Welcome to the Akron Central School District Demonstration Web Site. In November 2006, the Akron Central School District rolled out a new updated Web site running on the Schoolwires Academic portal. 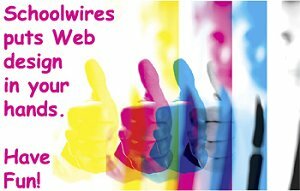 The Schoolwires based Web site give teachers and other school employees the ability to create and manage their own Web pages. All of the pages in this section of the web site were created using the tools and resources that are included in the Schoolwires Academic Portal. These sample pages present examples of the page types available in Schoolwires as well as some ideas on the types of information that can easily be included in your Web pages. The content on these pages is subject to change at any time. If you have any questions about how a particular page was created, please contact Deby Eppolito. You can download and print both these chapters from the Schoolwires Community and Support Site. You should have received a login name and password in your email. If you need help getting logged in for the first time, check with Deby Eppolito. You will not see the 'Site Manager' button on the grey menu bar until you sign in and navigate to your Section of the Web site, which is where you have editorial privileges. When you click on the Site Manager button, you will open Site Manager and enter the Section Workspace for your Section.